Inextricably linked to the rise in the populist song movement that first swept the music scene during the 1960s, Judy Collins claims Colorado as her home state. In 1949, her family moved from Seattle to Denver, where her discovery of folk music at age 15 set her on a path that brought international fame. Her early years in music gave her a taste for variety. At the age of ten, she began the study of classical piano with Dr. Antonia Brico, a woman teacher and conductor who had studied with the legendary Finnish composer Jean Sibelius and had visited celebrated Austrian musician and physician Albert Schweitzer every summer. Collins’ father was a singer, composer and broadcasting personality in Denver during the golden days of radio, and she appeared as a youngster on his KOA radio program, Chuck Collins Calling. She debuted with the Denver Businessmen’s Orchestra when she was just a teenager. By the time she was a Denver East High School student, Collins had traded the classical piano for a second-hand guitar, a gift from her father. “I’d never heard of folk music until listening to Jo Stafford and the Kingston Trio and Harry Belafonte sing it on the radio in ’57. But I really got interested through Lingo the Drifter,” an enigmatic Lookout Mountain resident who taught her the songs of Woody Guthrie and Josh White. She started her singing career in the late 1950s, performing folk songs at clubs in Denver and various mountain bistros. Even at the age of 19, Collins had gained her social conscience and the special gift of turning folk songs into art songs. “By the time I was discovered to be a folk singer, I already had a trail of Mozart, Cole Porter and Frank Sinatra,” she said. At the age of 20, the new mother and wife won an audition for a job at Michael’s Pub, a Boulder hangout where all the college students went to eat pizza and guzzle gallons of “horse-piss,” which is what they called the 3.2 percent beer you had to drink in Colorado if you were under 21. At Michael’s, you could sometimes hear a barbershop quartet or one of the pop acts from Denver, but never a folk singer. The folk craze, as it was named, was an entertainment distraction that caught America’s fancy. In coffeehouses, folk music displaced the experimental arts of the 1950s. Teenagers congregated and sang along with and harmonized to intelligent lyrics. They behaved in a civilized manner and searched for an equitable link between music and the past. Collins launched her singing career performing at the Satire Lounge and the Green Spider and various mountain bistros such as the Gilded Garter in Central City and the Limelite in Aspen. In Denver, the place to play was the Exodus, the focal point for local beats, artists and poets and a sprinkling of button-down college kids. Denver’s trendies gravitated there for art shows, poetry readings and folk sessions; Collins was asked to be an opening act. Collins subsequently moved to New York’s Greenwich Village, which propelled her to stardom. With a voice that could electrify audiences with its crystal purity and wide range, she easily progressed to a record contract and major concerts. 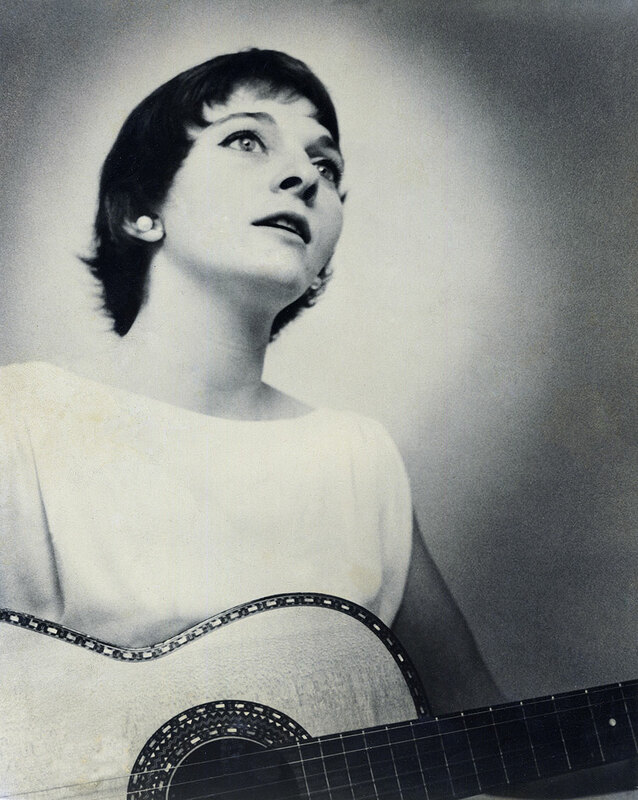 On her first albums in the early 1960s, she stayed mainly with clear-voiced readings of traditional material, as well as a sprinkling of folk-oriented writers (such as Tom Paxton, Eric Andersen and Richard Farina). But Collins began to make a transition, singing more and more of the music of her contemporaries. She was often the artist who was first to recognize the talent of new composers and introduce them to their audiences—Leonard Cohen (“Suzanne”), Randy Newman (“I Think It’s Going to Rain Today”) and Joni Mitchell (“Chelsea Morning” and “Both Sides Now,” Collins’ first commercial hit in 1967). Simply linking the prolific Collins to the folk music tradition would be too limited a platform for her talent. She produced a documentary with director Jill Godmilow about Dr. Brico’s life entitled Antonia: A Portrait of the Woman (which earned an Academy Award nomination), wrote several autobiographical books and a novel, and received numerous humanitarian awards for her work with UNICEF and alcohol abuse and suicide prevention programs. She continues to record and perform music worldwide.